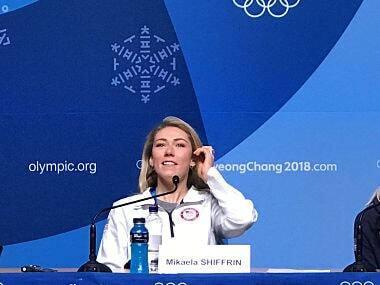 Pyeongchang: Mikaela Shiffrin admitted it was "not ideal" but expressed relief at her decision to skip Wednesday's downhill to focus on winning a second Pyeongchang gold in the alpine combined event 24 hours later. 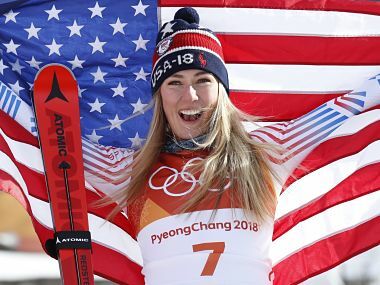 The US ski star has had a mixed time of it in South Korea, winning giant slalom gold but failing to defend her slalom title, finishing just off the podium in fourth after vomiting at the start gate. That shock result in the discipline she won in Sochi four years ago at just 18 and which she has dominated on the World Cup circuit punctured the hype over her potential assault on five gold medals in Pyeongchang. Then the alpine combined, comprising a downhill and a slalom, was moved forward a day to Thursday because of the inclement weather forecast for Friday. Shiffrin posted the fifth-fastest time in Tuesday's third and final downhill training run but insisted that while the schedule change was "not ideal", she had no regrets. "Not so much," she said. "But a little bit of relief. "I had qualified (for the downhill) already going into these Olympics so the decision was up to me whether to compete or not. "If I had won every training run, then I would probably think differently, but because I was struggling to find my timing a little bit and struggling to find my aerobic position yesterday, having the alpine combined moved forward was actually a relief to me." The 22-year-old added: "It's not ideal at all, I'd much rather be able to race the downhill and have a day in between, but I didn't want to be taking spots from our girls who are all potentially a threat for top five, medal positions." 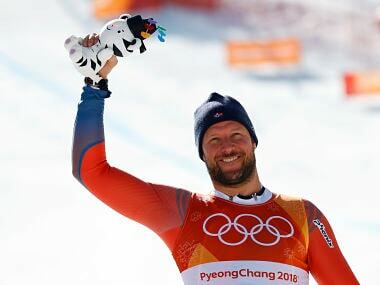 The American's topsy-turvy Games took another strange twist on Monday when her boyfriend, the French skier Mathieu Faivre, was ordered to pack his bags and return home by French team officials over an angry rant he made after a race at the weekend. Mum was the word on that, however, US officials warning that Shiffrin would answer no questions on the matter. 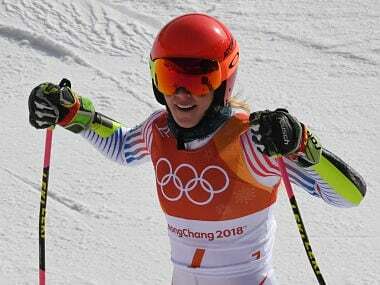 There can be no denying that Shiffrin's absence from the downhill on Wednesday will be sorely missed, more so given her impressive showing in training on a Jeongseon course that she is getting to appreciate. "This track is just fantastic, I think it's a dream for everybody to ski on this course, me too," the American said. "Everyone's itching to race now. "That run today was much more what I was looking for as far as being relaxed goes. "Yesterday I was a little bit tense, the day before I was a little conservative, but today I put something together that I'm really excited about and I'm looking forward to taking that into the combined." Shiffrin will start as a hot favourite for the combined along with her teammate Lindsey Vonn. "I'm going to go off for some slalom training now," said Shiffrin. "And tomorrow I hope I can have more of a rest day."